2018 is shaping up to be a bad year for the preservation of surface parking lots in Downtown Jacksonville. However, if the goal is to establish a vibrant city center, the more infill development, the better. If everything goes according to plan, a joint venture between Tampa-based Blue Sky Communities, LLC. and Aging True will transform a 1.02-acre surface parking lot at the northwest corner of East Ashley and Newnan Streets into Downtown’s latest multifamily residential development. 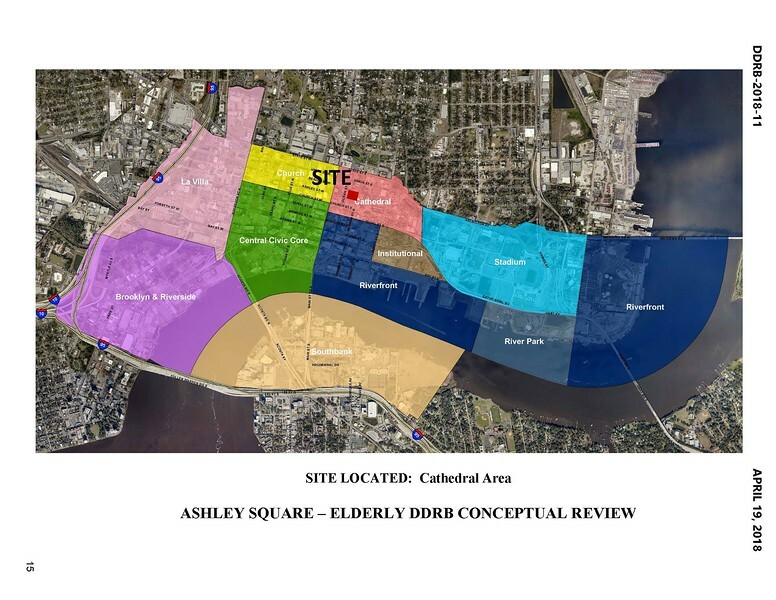 Designed by Jacksonville-based PQH Architects, Ashley Square is currently proposed as a $15 million, 120 unit affordable housing development for residents aged 62 years old and up. Anticipated to begin construction by February 2020, $27,060 would be the maximum income for a one-person household at Ashley Square, $30,960 for a two-person household and $34,800 for a three person household. 96 of the 120 units would be 650 square foot one bedroom spaces. The remaining 24 units would be 900 square foot two bedroom apartments. The building’s main entrance would be off Newnan Street, facing the existing Cathedral Tower entrance. While the structure won’t include retail, the first floor spaces lining Newnan Street will contain a fitness center, office, lobby area, lounge and activity center. A 160-space parking garage would also be built as a part of the six-story project. 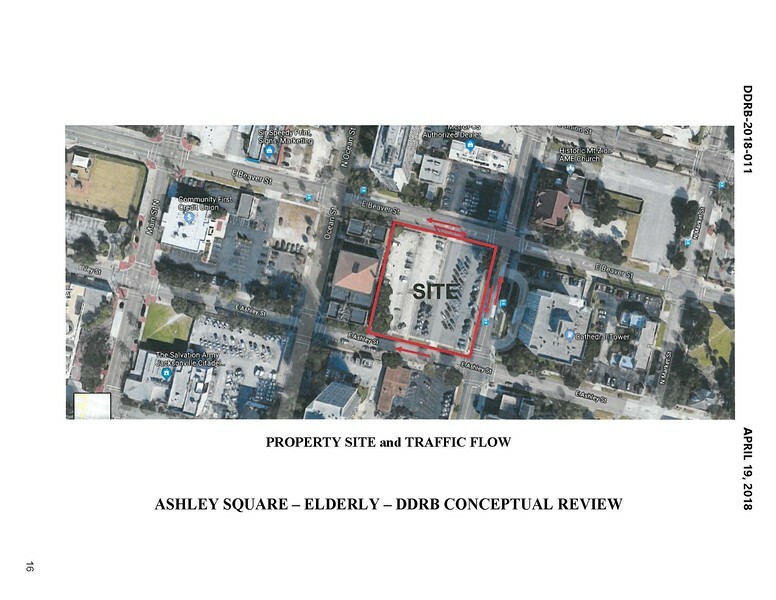 On April 19, 2018, the Downtown Development Review Board will evaluate giving conceptual design approval for Ashley Square. The development team anticiaptes Ashley Square being completed by August 2021. Here’s a look at what may be in store for Downtown’s latest potentially disappearing surface parking lot.